In the Model HO-TH-03B the solution containing beakers are kept on hot plates with magnetic stirrers. 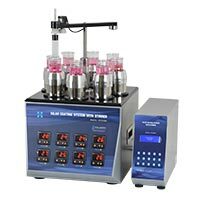 The rotation speed of the stirrers can be controlled from 0 - 999 rpm. The dipping speed, dip duration, retrieval speed and dry duration can be set for each beaker. Each hot plate can be set at different temperatures. The temperature can be set up to 200°C from ambient. This device can be customized as per requirement. 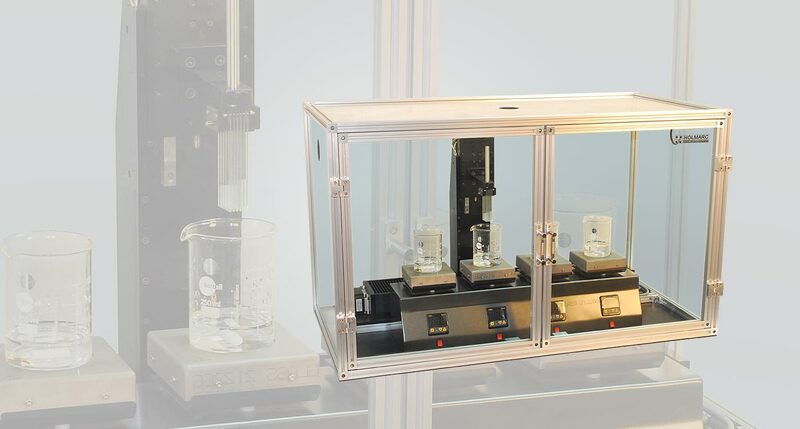 Holmarc has developed models where a controlled heater is used for keeping each beaker at specified temperature independently.